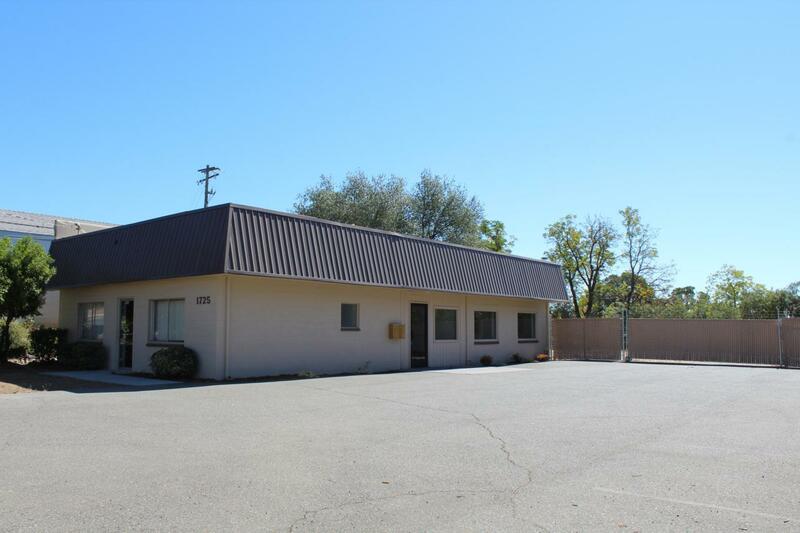 Located in one of the City of Redding's designated ''Green Zones,'' the subject property consists of a 1,800sf retail or office commercial building with an approximately 50'x60' fenced and secured yard space, making this property ideal for a variety of business uses! Great visibility and traffic along Cypress and Victor Ave with easy access to Interstate 5 and Highway 44. Perfect for a business! !The subject property has three private offices along with a larger open office area and two bathrooms. A fourth room has been used as a storage closet but could also be used as a smaller private office. There are two separate entrances with a lobby designed to separate the office spaces from the costumers. There is also a kitchenette area with a sink, microwave, small refrigerator and plenty of cabinet storage space. Recent upgrades to the subject property include new exterior paint, new chain link fence and gate with privacy screen on the main gate, exterior wiring ready for security cameras and a recent HVAC service to ensure proper working order. Contact Listing Office for Marketing Package or to view the property! Property is also available for purchase. Please see MLS#18-5470 *Buyer to verify all square footages and dimensions.